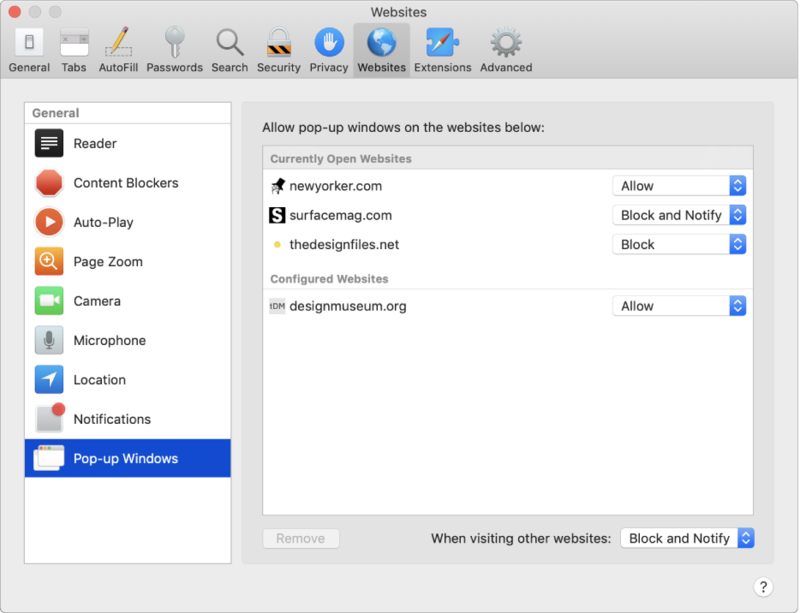 Instead of blocking or allowing on all websites, pick and choose the sites where you want to block pop-up windows. Some websites work best if you allow pop-up windows. Make it easier to tell what’s in each tab by including website icons. If you reuse passwords, and someone knows your password for one website, they might be able to access your accounts on other websites. 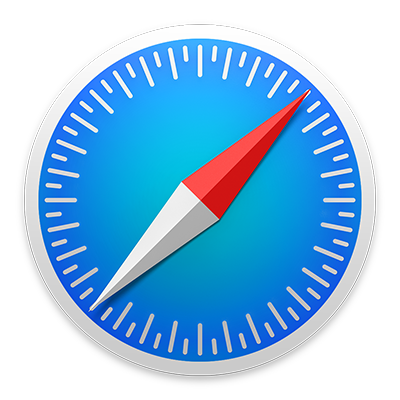 Safari lets you know if you’re using the same password for different sites. 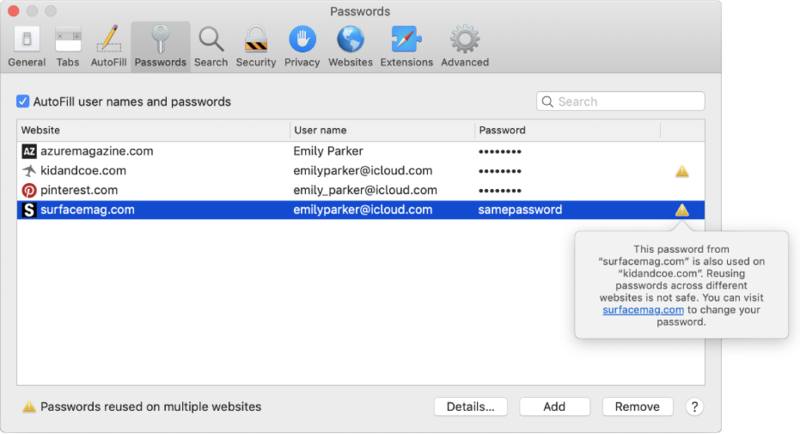 When you set up an account or change an existing password, Safari can create a strong password for you. When you need to sign in later, the information is automatically provided. To browse the Safari User Guide, click Table of Contents at the top of the page. If you need more help, visit the Safari Support website.